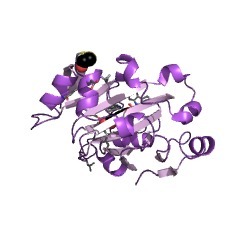 The domain within your query sequence starts at position 197 and ends at position 353; the E-value for the JmjC domain shown below is 1.98e-47. 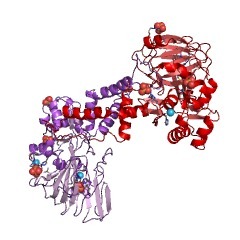 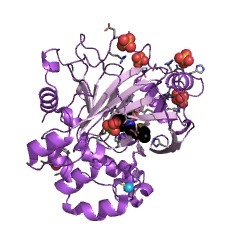 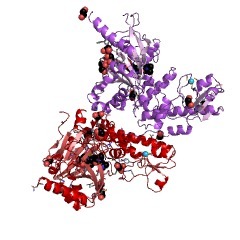 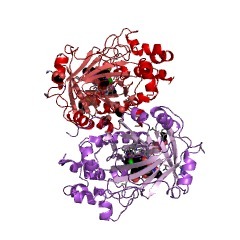 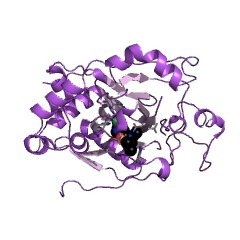 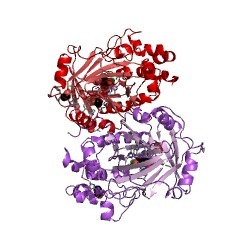 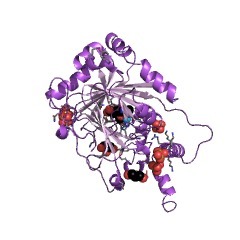 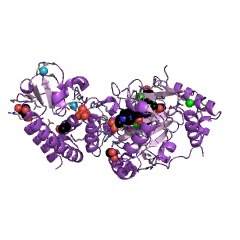 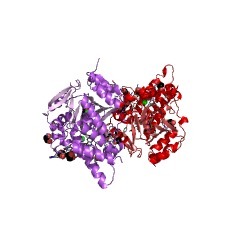 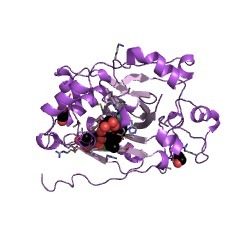 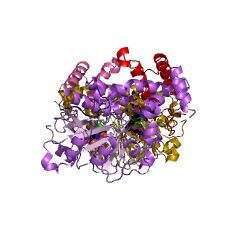 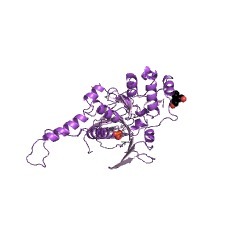 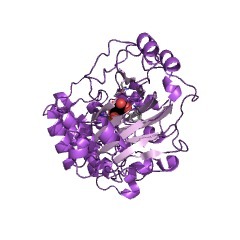 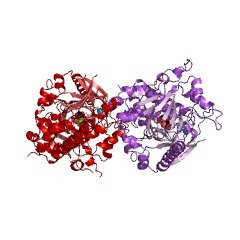 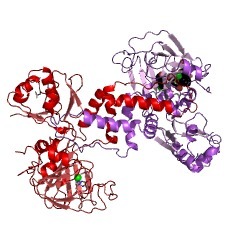 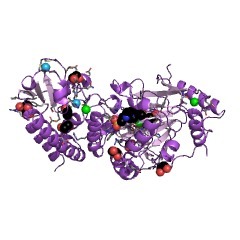 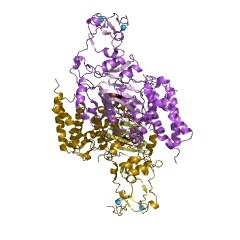 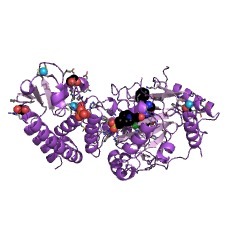 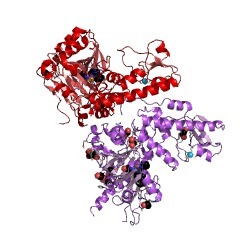 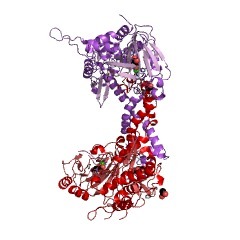 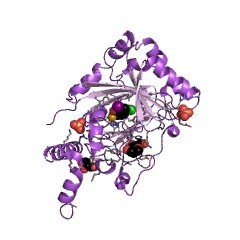 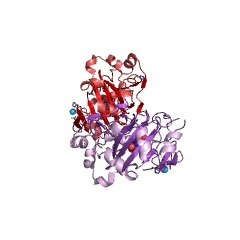 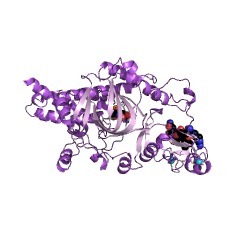 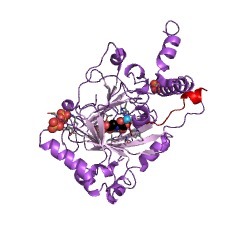 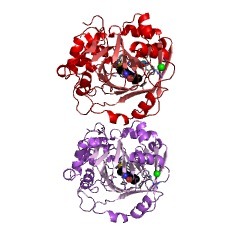 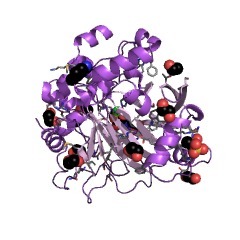 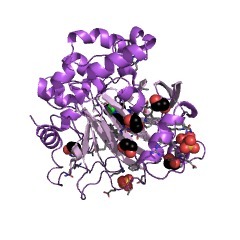 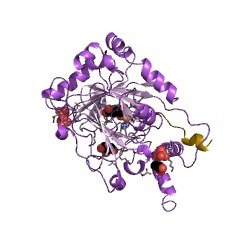 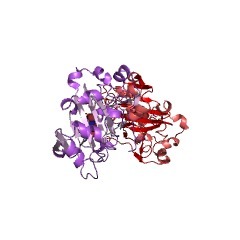 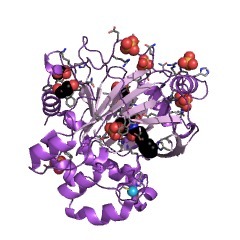 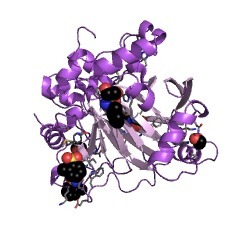 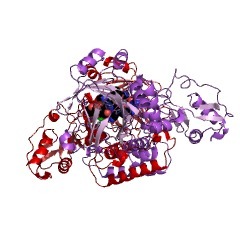 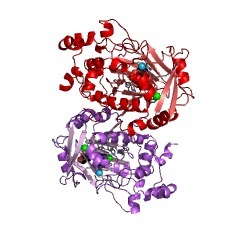 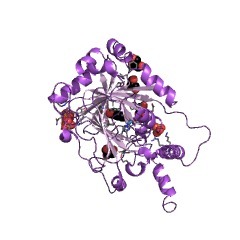 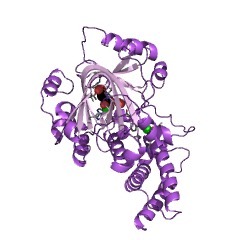 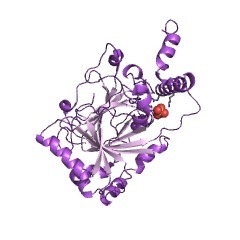 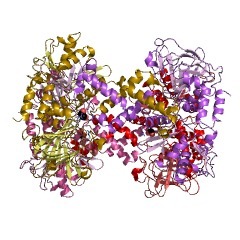 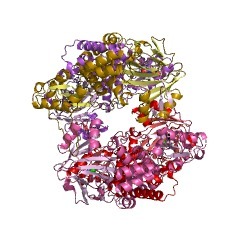 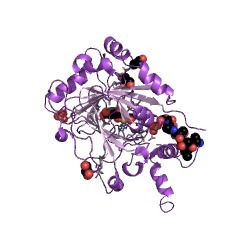 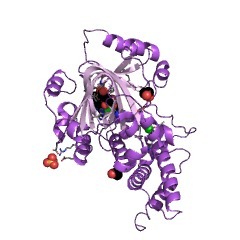 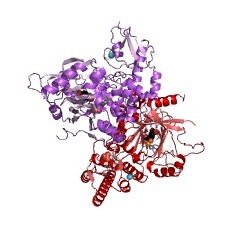 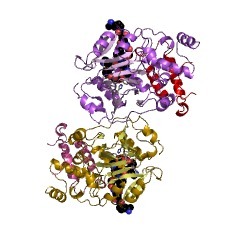 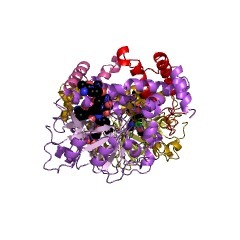 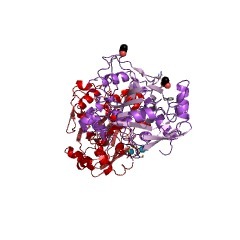 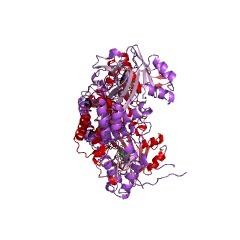 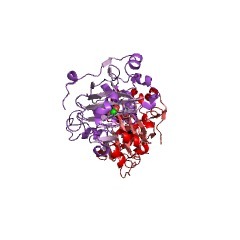 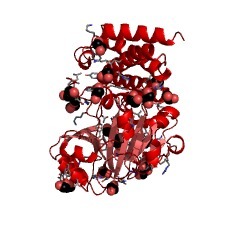 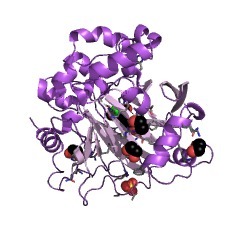 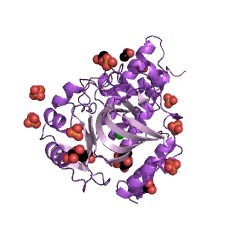 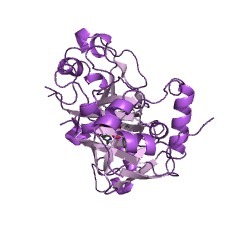 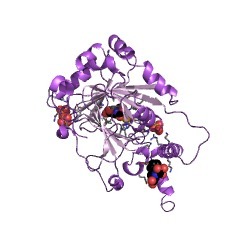 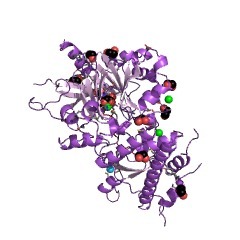 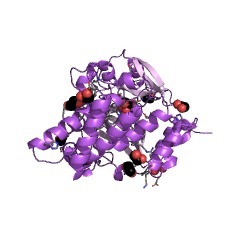 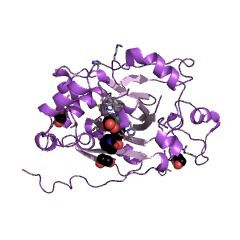 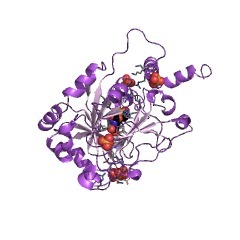 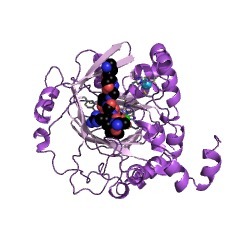 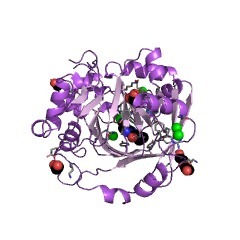 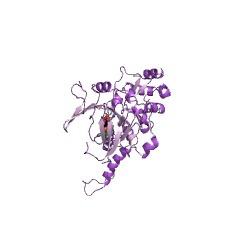 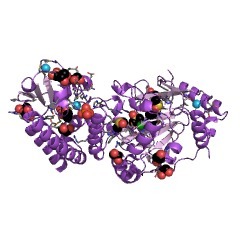 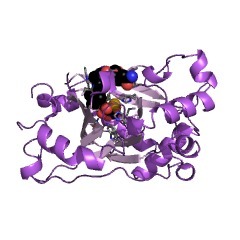 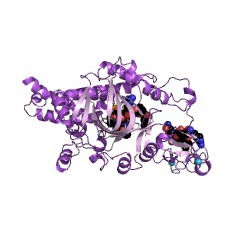 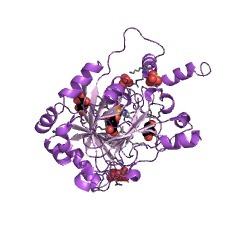 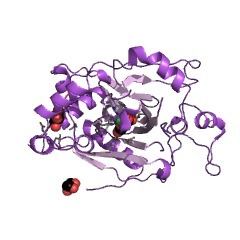 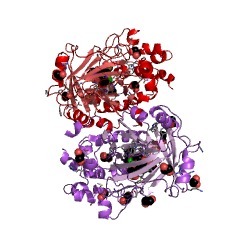 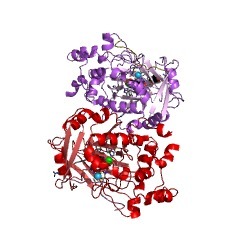 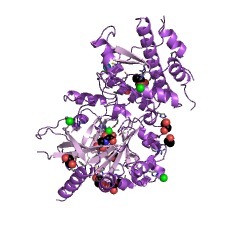 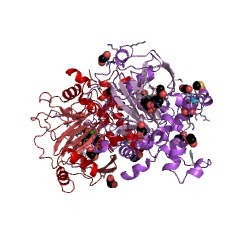 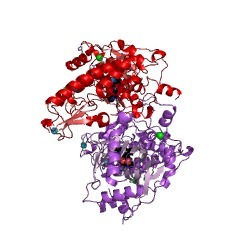 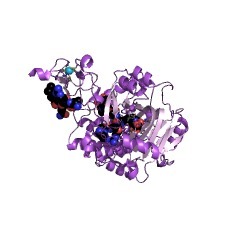 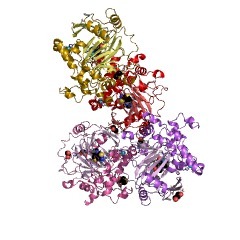 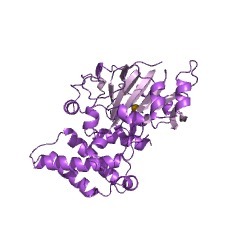 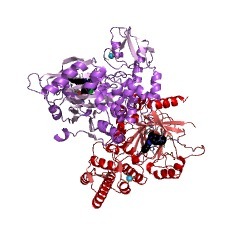 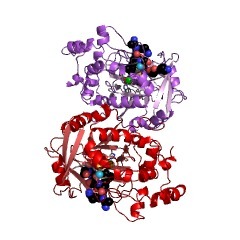 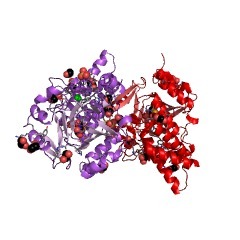 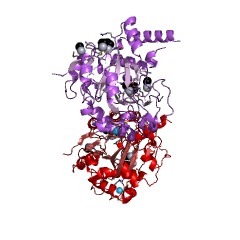 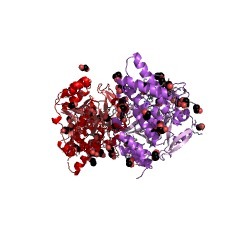 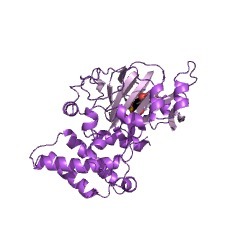 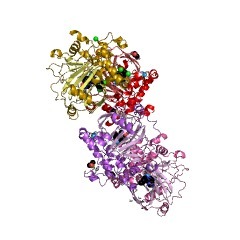 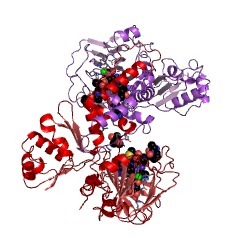 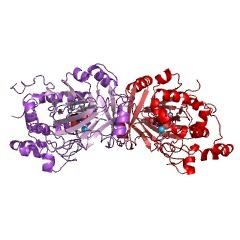 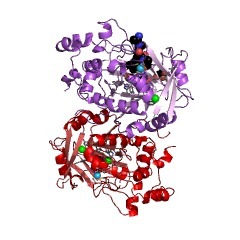 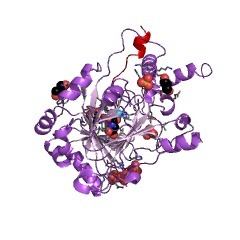 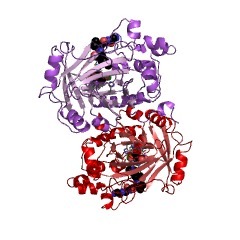 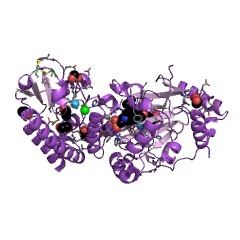 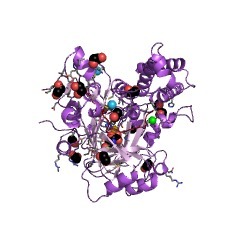 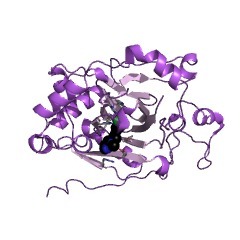 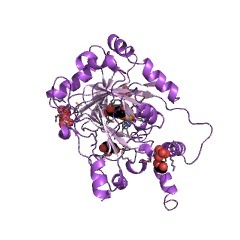 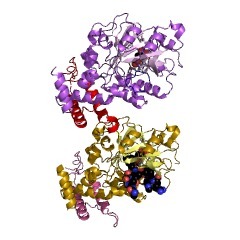 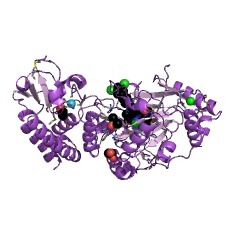 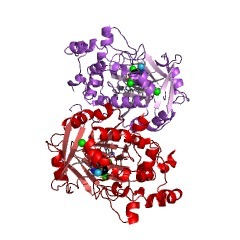 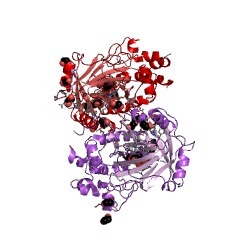 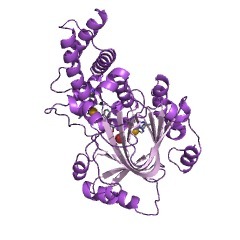 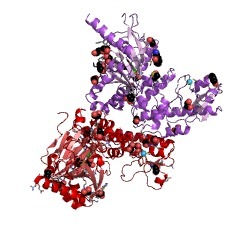 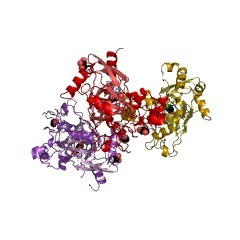 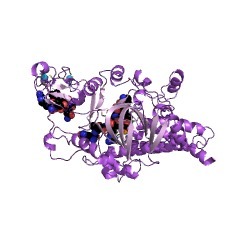 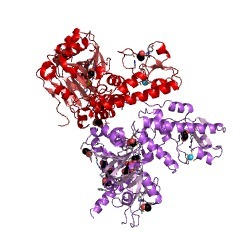 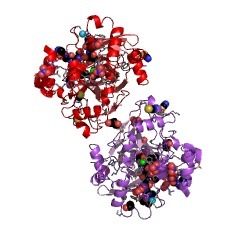 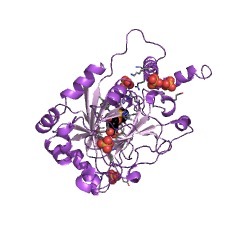 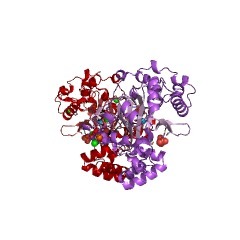 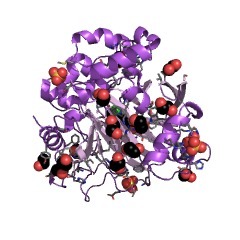 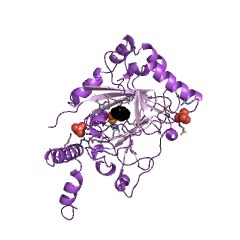 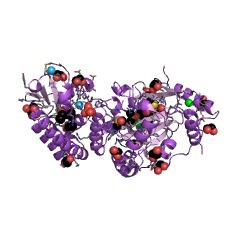 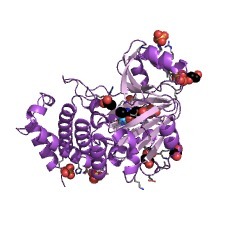 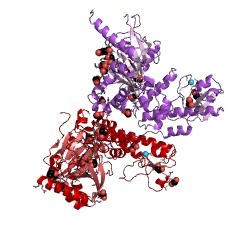 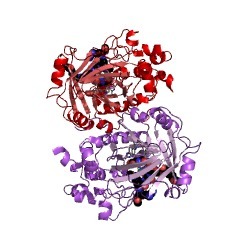 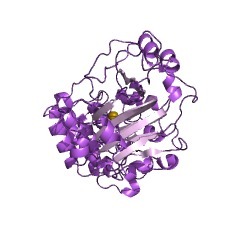 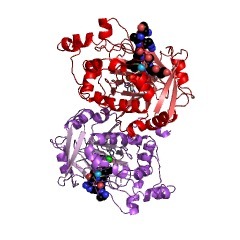 A domain family that is part of the cupin metalloenzyme superfamily. 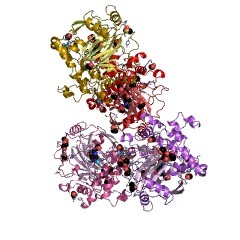 Probable enzymes, but of unknown functions, that regulate chromatin reorganisation processes (Clissold and Ponting, in press). The JmjN and JmjC domains are two non-adjacent domains which have been identified in the jumonji family of transcription factors. 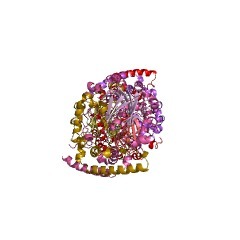 Although it was originally suggested that the JmjN and JmjC domains always co-occur and might form a single functional unit within the folded protein, the JmjC domain was later found without the JmjN domain in organisms from bacteria to human [(PUBMED:10838566), (PUBMED:11165500)]. Proteins containing JmjC domain are predicted to be metalloenzymes that adopt the cupin fold and are candidates for enzymes that regulate chromatin remodelling [(PUBMED:11165500)]. 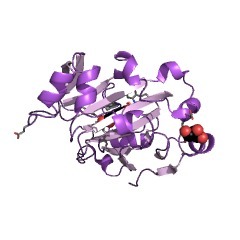 The cupin fold is a flattened beta-barrel structure containing two sheets of five antiparallel beta strands that form the walls of a zinc-binding cleft. 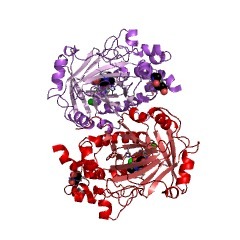 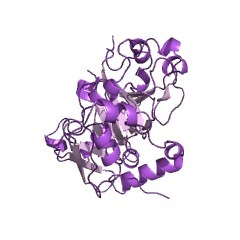 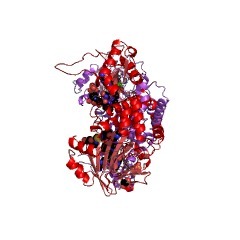 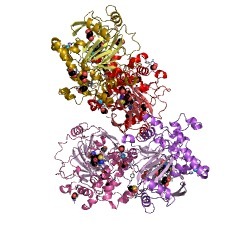 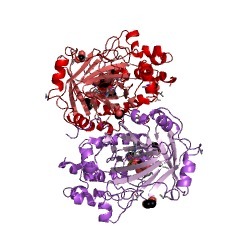 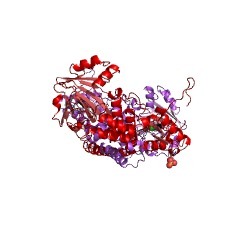 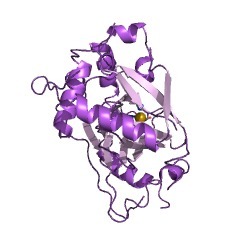 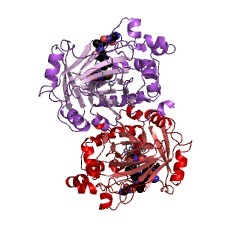 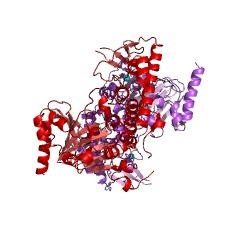 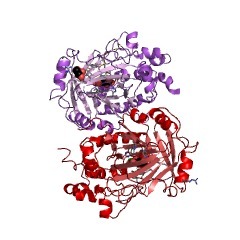 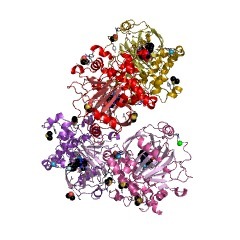 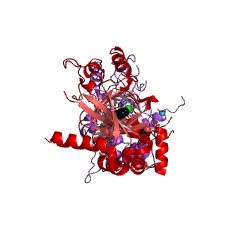 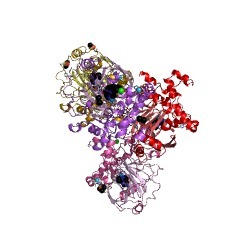 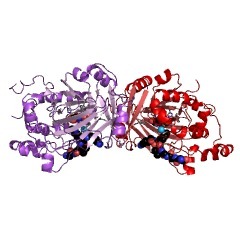 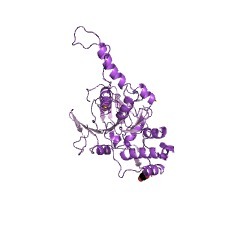 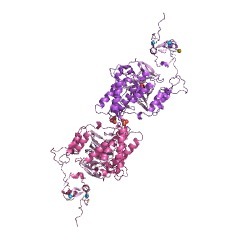 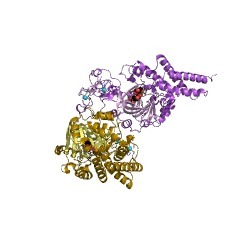 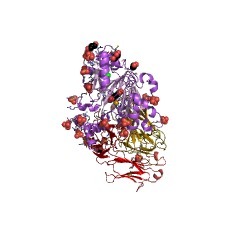 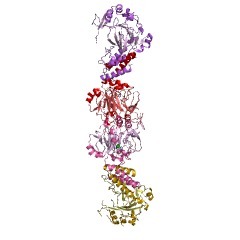 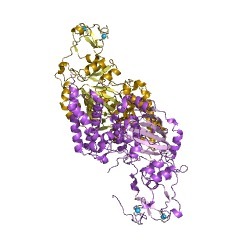 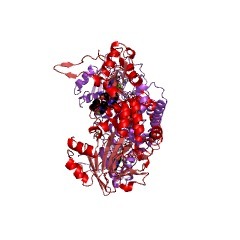 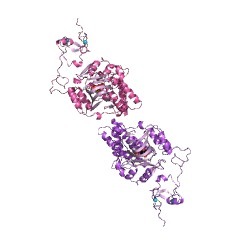 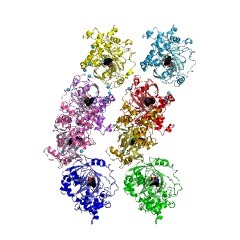 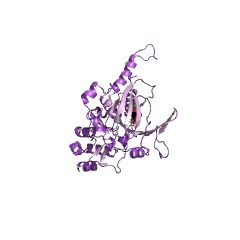 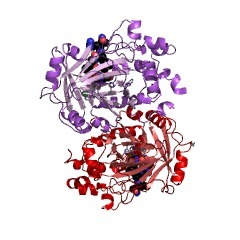 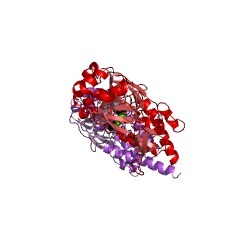 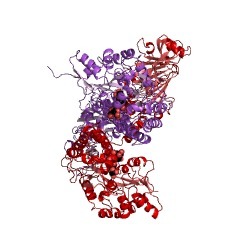 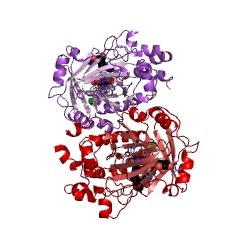 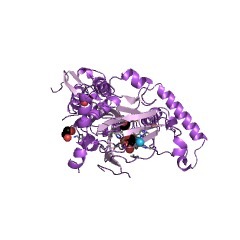 Based on the crystal structure of JmjC domain containing protein FIH and JHDM3A/JMJD2A, the JmjC domain forms an enzymatically active pocket that coordinates Fe(III) and alphaKG. Three amino-acid residues within the JmjC domain bind to the Fe(II) cofactor and two additional residues bind to alphaKG [(PUBMED:16983801)]. JmjC domains were identified in numerous eukaryotic proteins containing domains typical of transcription factors, such as PHD, C2H2, ARID/BRIGHT and zinc fingers [(PUBMED:11165500), (PUBMED:12446723)]. 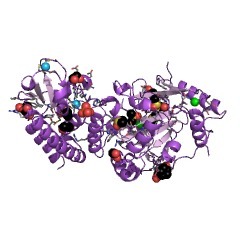 The JmjC has been shown to function in a histone demethylation mechanism that is conserved from yeast to human [(PUBMED:16362057)]. JmjC domain proteins may be protein hydroxylases that catalyse a novel histone modification [(PUBMED:15809658)]. 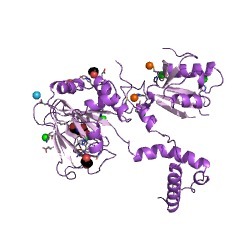 The human JmjC protein named Tyw5p unexpectedly acts in the biosynthesis of a hypermodified nucleoside, hydroxy-wybutosine, in tRNA-Phe by catalysing hydroxylation [(PUBMED:20739293)]. 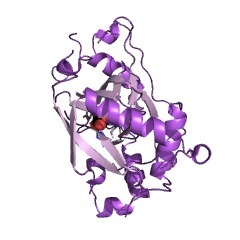 There are 36166 JmjC domains in 36140 proteins in SMART's nrdb database. Taxonomic distribution of proteins containing JmjC domain. This tree includes only several representative species. The complete taxonomic breakdown of all proteins with JmjC domain is also avaliable. 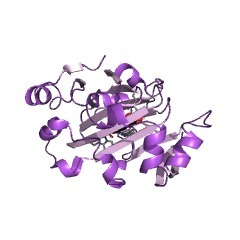 Click on the protein counts, or double click on taxonomic names to display all proteins containing JmjC domain in the selected taxonomic class. Microbial relatives of the seed storage proteins of higher plants: conservation of structure and diversification of function during evolution of the cupin superfamily. 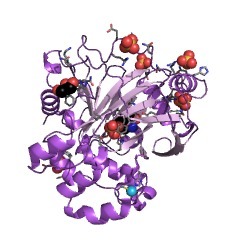 This review summarizes the recent discovery of the cupin superfamily (from the Latin term "cupa," a small barrel) of functionally diverse proteins that initially were limited to several higher plant proteins such as seed storage proteins, germin (an oxalate oxidase), germin-like proteins, and auxin-binding protein. 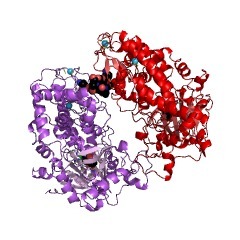 Knowledge of the three-dimensional structure of two vicilins, seed proteins with a characteristic beta-barrel core, led to the identification of a small number of conserved residues and thence to the discovery of several microbial proteins which share these key amino acids. 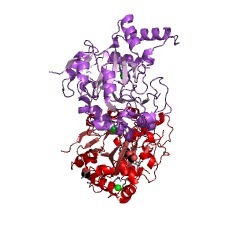 In particular, there is a highly conserved pattern of two histidine-containing motifs with a varied intermotif spacing. 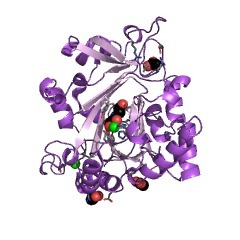 This cupin signature is found as a central component of many microbial proteins including certain types of phosphomannose isomerase, polyketide synthase, epimerase, and dioxygenase. 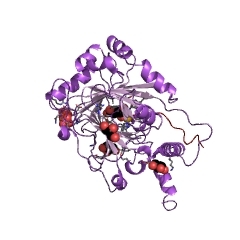 In addition, the signature has been identified within the N-terminal effector domain in a subgroup of bacterial AraC transcription factors. 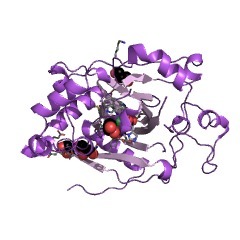 As well as these single-domain cupins, this survey has identified other classes of two-domain bicupins including bacterial gentisate 1, 2-dioxygenases and 1-hydroxy-2-naphthoate dioxygenases, fungal oxalate decarboxylases, and legume sucrose-binding proteins. 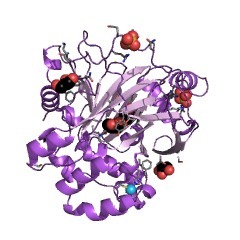 Cupin evolution is discussed from the perspective of the structure-function relationships, using data from the genomes of several prokaryotes, especially Bacillus subtilis. Many of these functions involve aspects of sugar metabolism and cell wall synthesis and are concerned with responses to abiotic stress such as heat, desiccation, or starvation. 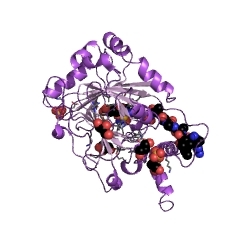 Particular emphasis is also given to the oxalate-degrading enzymes from microbes, their biological significance, and their value in a range of medical and other applications. 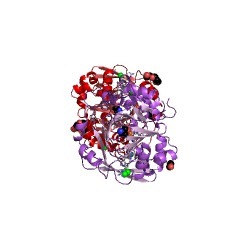 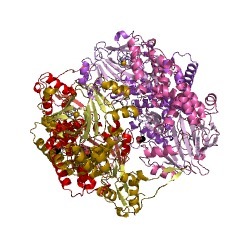 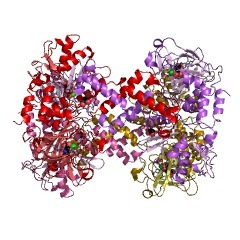 The x-ray crystal structure of phosphomannose isomerase from Candida albicans at 1.7 angstrom resolution. Phosphomannose isomerase (PMI) catalyses the reversible isomerization of fructose-6-phosphate (F6P) and mannose-6-phosphate (M6P). Absence of PMI activity in yeasts causes cell lysis and thus the enzyme is a potential target for inhibition and may be a route to antifungal drugs. 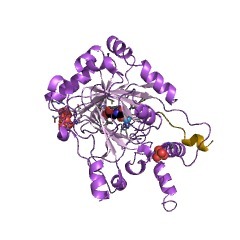 The 1.7 A crystal structure of PMI from Candida albicans shows that the enzyme has three distinct domains. 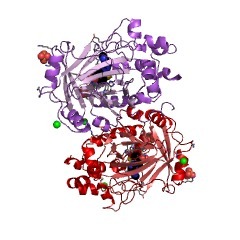 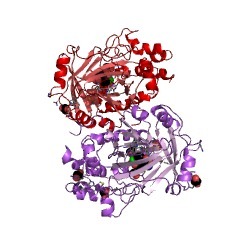 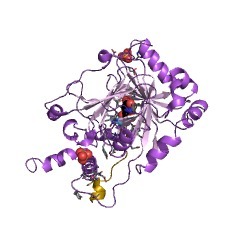 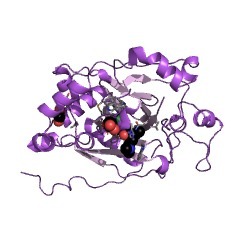 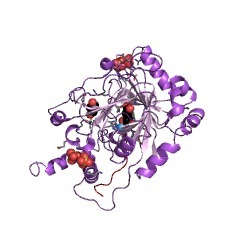 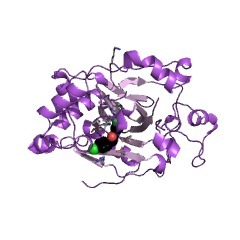 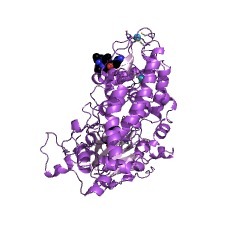 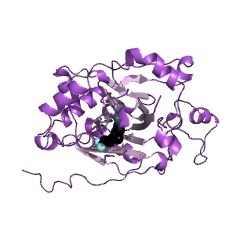 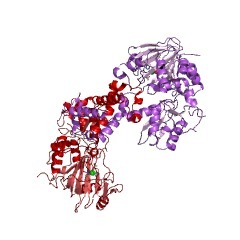 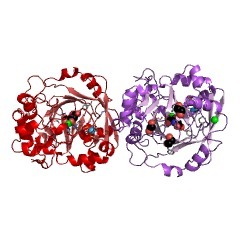 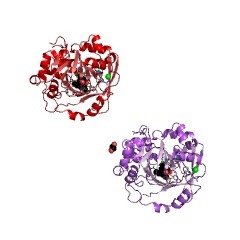 The active site lies in the central domain, contains a single essential zinc atom, and forms a deep, open cavity of suitable dimensions to contain M6P or F6P The central domain is flanked by a helical domain on one side and a jelly-roll like domain on the other. 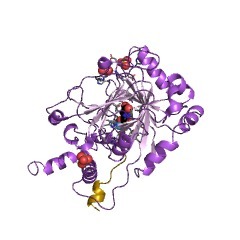 4lit Structure of YcfD a Ribosomal oxygenase from Escherichia coli in complex with Cobalt and 2-oxoglutarate. 4liu Structure of YcfD, a Ribosomal oxygenase from Escherichia coli. 4liv Structure of YcfD, a Ribosomal oxygenase from Escherichia coli in complex with Cobalt and succinic acid.